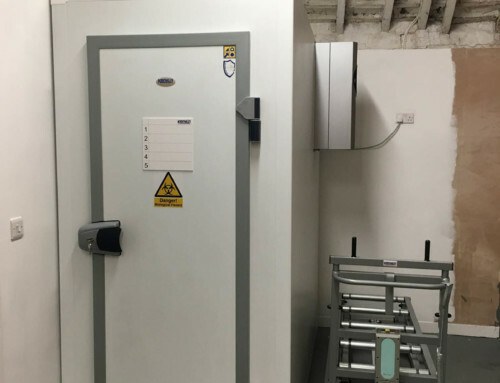 William Kenyon were commissioned to manufacture and install another high efficiency Kenyon FD 1-4 “Body Freezer Chamber” due to our previous installations of Body Freezer Chambers in Scotland for the Chair of the School of Bio Medical Sciences in the Highlands. 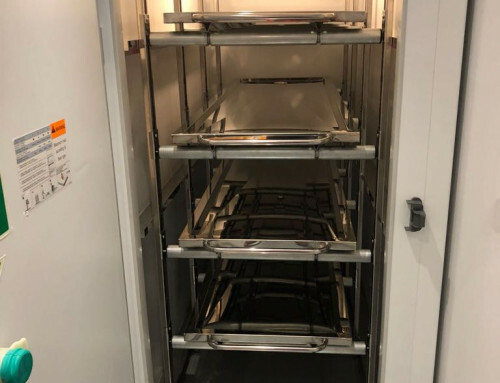 Kenyon manufactured one totally Modular 100mm Polyurethane Cold room Freezer with the emphasis on energy conservation and low costs of running. 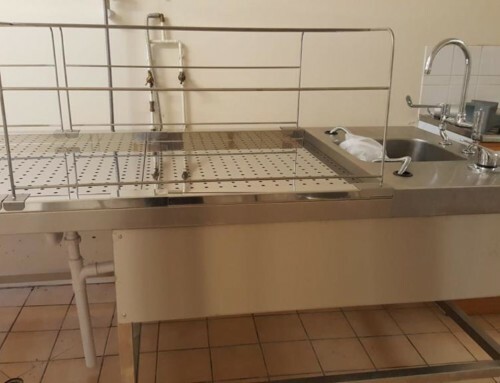 These Freezers are for the keeping of Cadavers on a “Fresh basis” rather than the conventional “fixed” route. 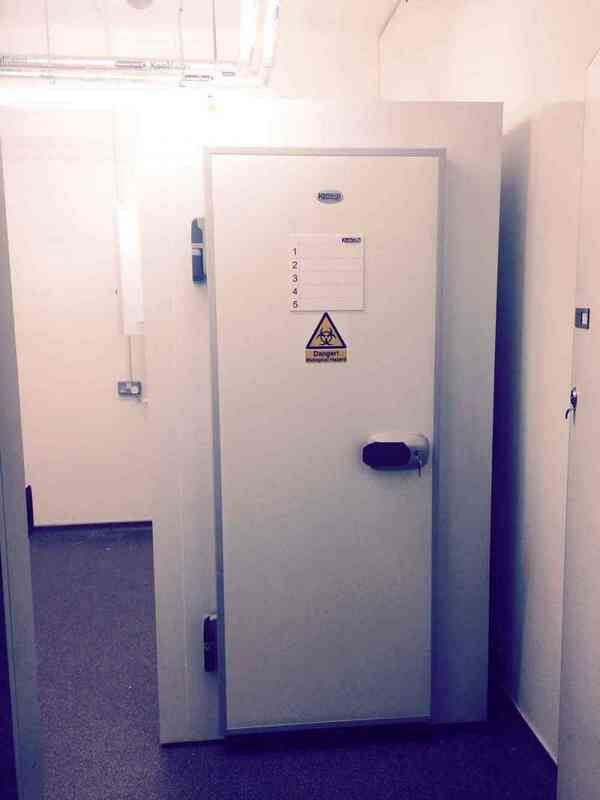 These are in-valuable for training to the very highest standards. 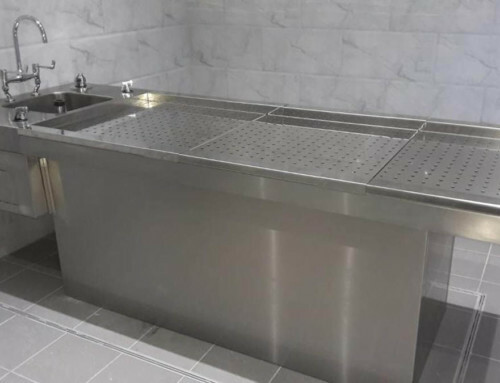 The Anatomy Freezer Chamber was supplied with a Stainless Steel internal Floor and a bright polished fully “height adjustable” Body Racking System. 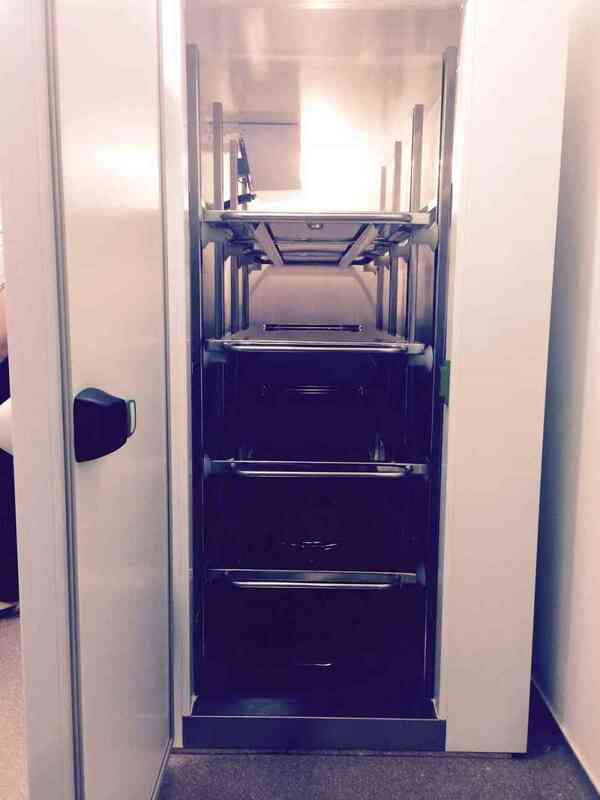 This Racking is unique in its Modular design allowing for movement of air with ease around the contents. 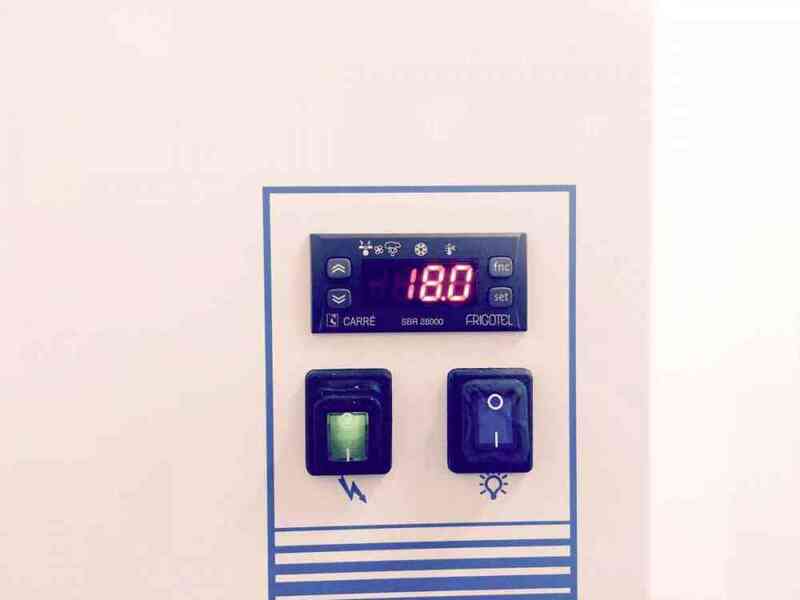 This allows for quicker pulldown of internal Temperature, longer rest periods of the Refrigeration plant and increased longevity of the plant. 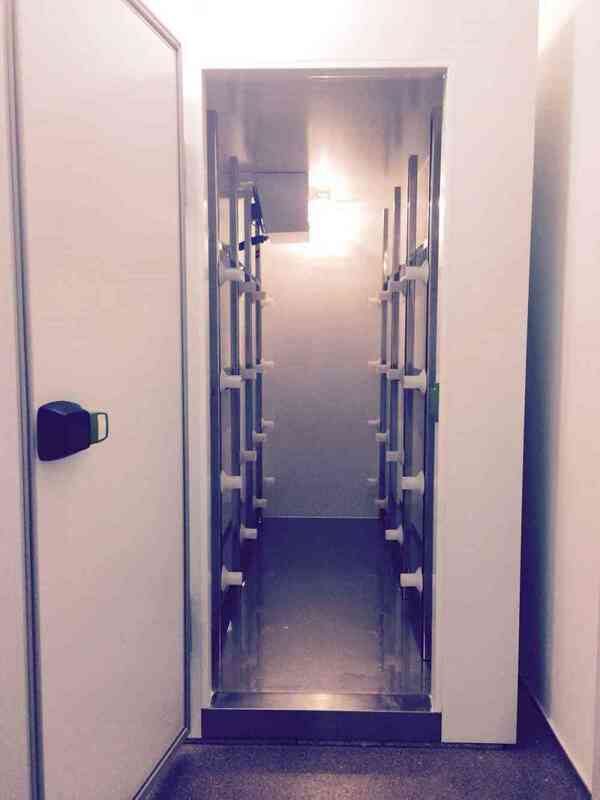 The Racking utilised our Stub Roller System that allows for complete access by removing the Kenyon Body Trays for cleaning and maintenance. 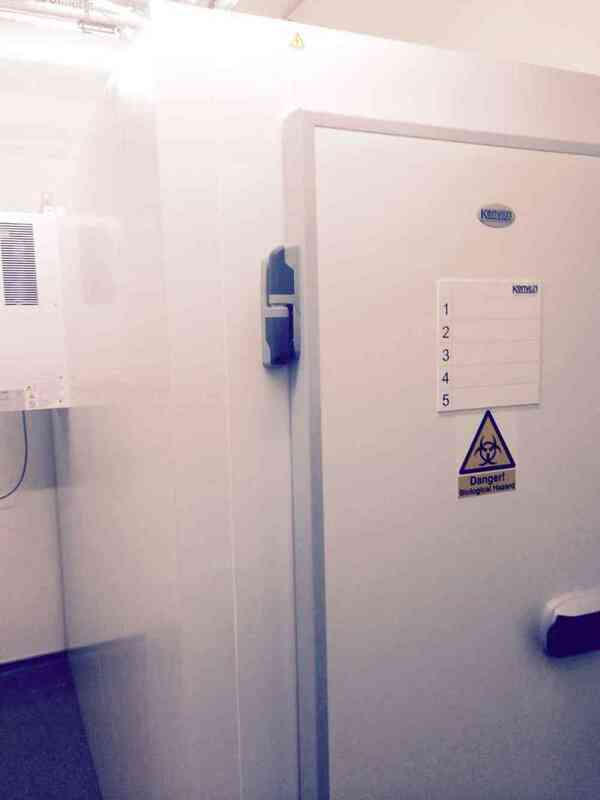 Refrigeration was achieved with the Kenyon Mono-block system that is sized at 125% of capacity, allowing for greater economy in higher ambient conditions as and when they arise.